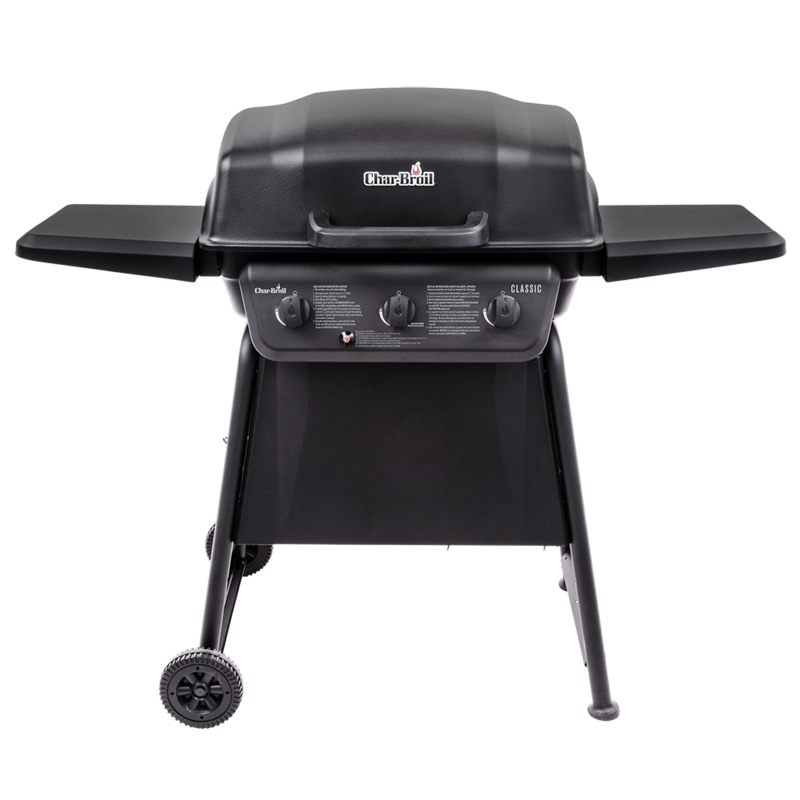 The Classic 3-burner gas grill is perfect for the smaller cookout. It features in-line stainless steel burners for even heat, an electronic ignition for easy starts and it’s equipped with two metal side shelves for extra space. And with the 5-year warranty, you can grill for the long haul. This warming rack swings back when you open the grill lid, so you can easily reach the food on your cooking grates.